The 'Digital Generation' guide has been developed as a quick way to get up to speed on issues and advice relevant to our children and the technology they use. Fortnite As Fortnite is sweeping the nation take a look at saferinternet.org's parent gude to check if your child is safe online when playing the game. Please click on the link below for more information about how technology impacts on their sleep quality. Children’s biggest concern about being on-line is lack of sleep (47%) but only 19% of parents chose that as their biggest concern about their children. 72% of students said they spent anything between 3 and 10 hours online on an average day during weekends and holidays. 11% said they were online during weekends and holidays between 10 and 15 hours a day. However, nearly half of students said they “wouldn’t mind” if all their devices were taken away for a weekend. Another 20% said they would feel ‘isolated’ and 11% would feel ‘panicky’. Over a third (36%) of children people say they have asked their parents to stop checking their mobile devices. Almost half of them (46%) say it makes no difference when they do so. However, under 10% of parents thought their time spent on devices was concerning their children. 72% of students said they spent anything between 3 and 10 hours on-line on an average day during weekends and holidays. 11% are online between 10 and 15 hours a day and 3% say they are online 16-20 hours a day during those periods. However, the majority of children don’t think their parents are concerned about the amount of time their children spend on mobile devices. 56% answered no to that question. The Blue Whale Challenge is about targeting vulnerable young persons on line and befriending them. Once their trust is gained they are set 50 challenges. These are a variety of challenges that build upon the previous in terms of risk and severity. The 50th challenge culminates in a dare to the vulnerable person to kill themselves. There have been reports of this happening. Blackburn with Darwen have set up a website to advise on Internet Safety. 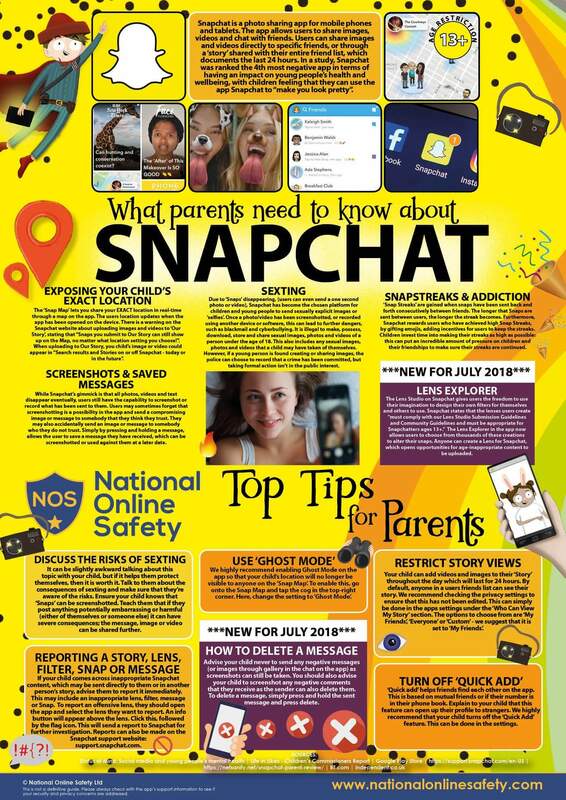 We recommend that all parents/carers have a look. This will help you to stay aware of the dangers of the Internet and how to keep your child safe.